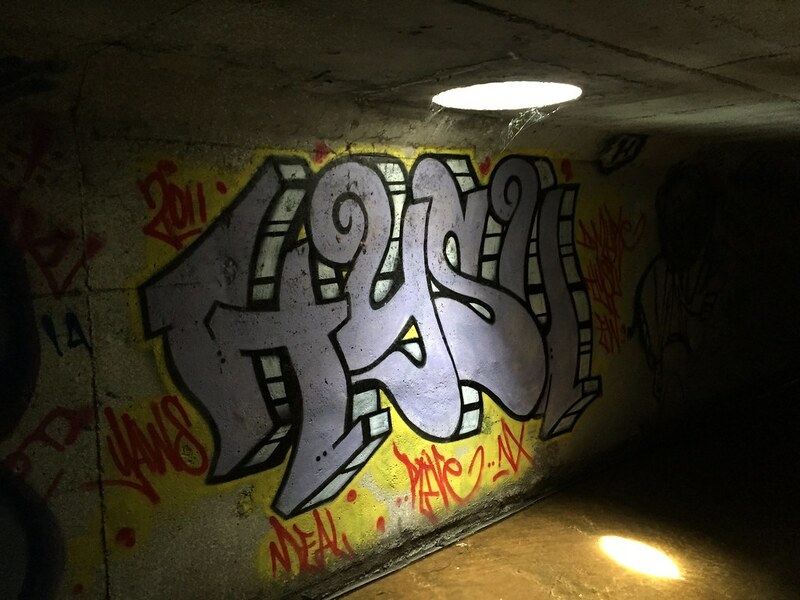 The word on the street is the HYSU crew (Have You Seen Us?) 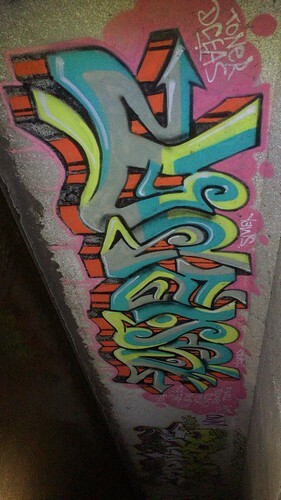 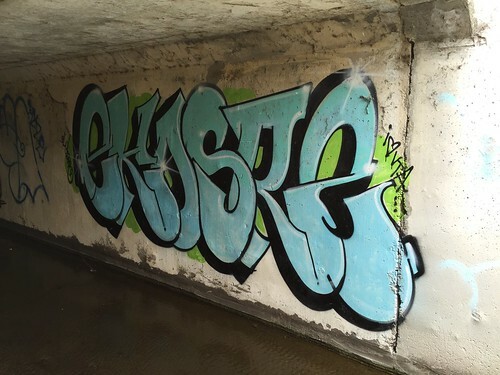 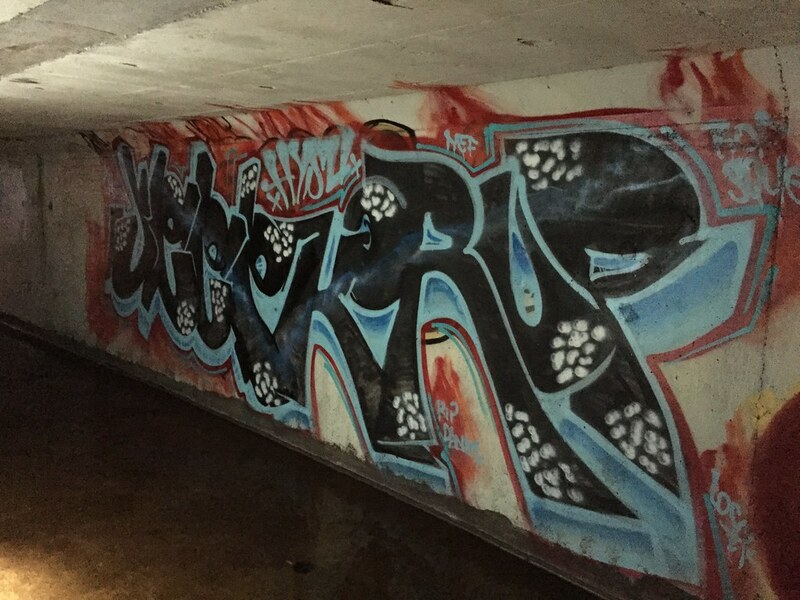 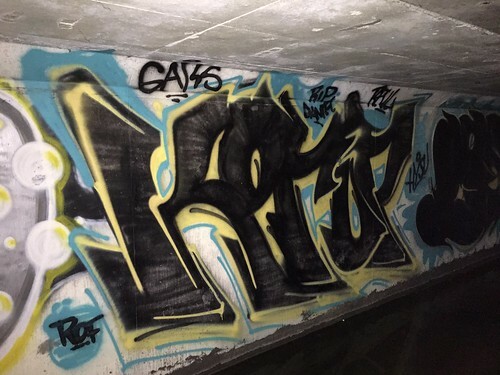 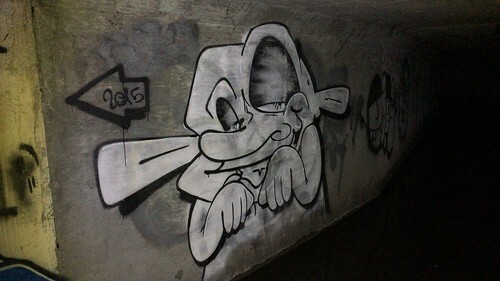 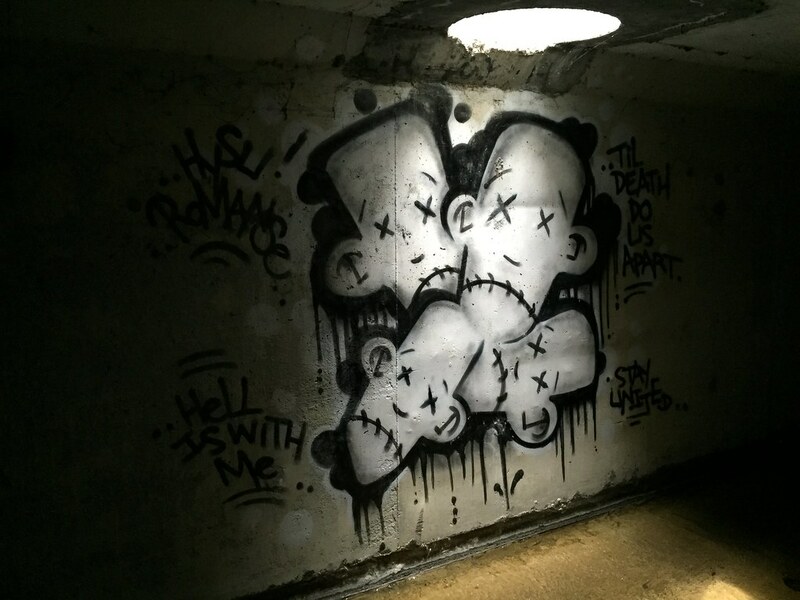 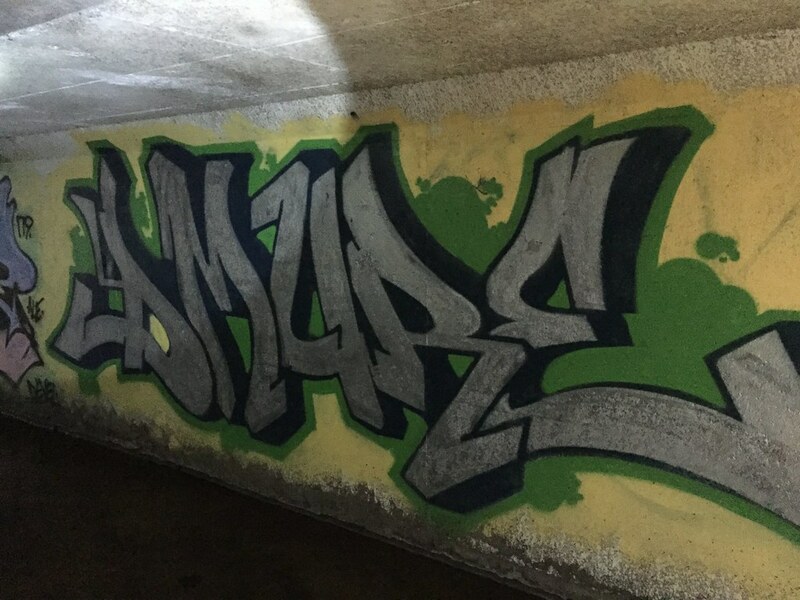 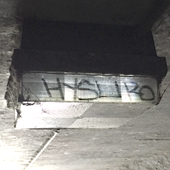 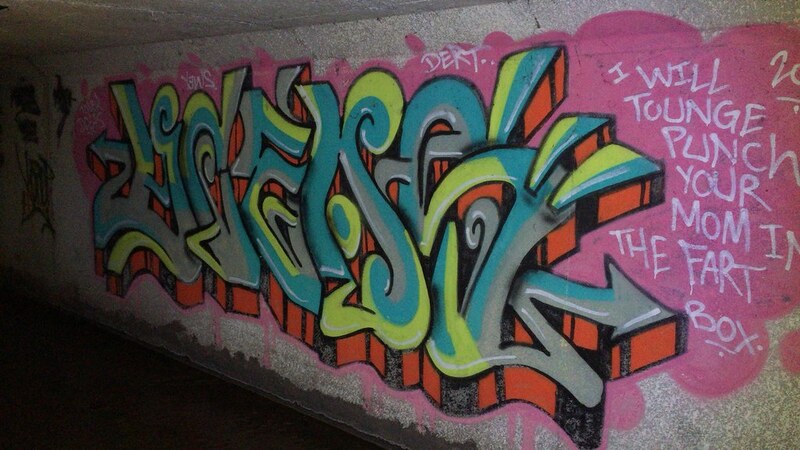 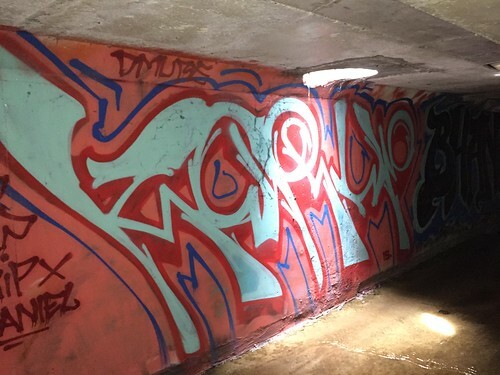 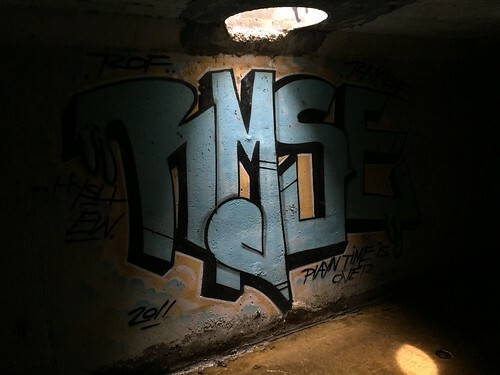 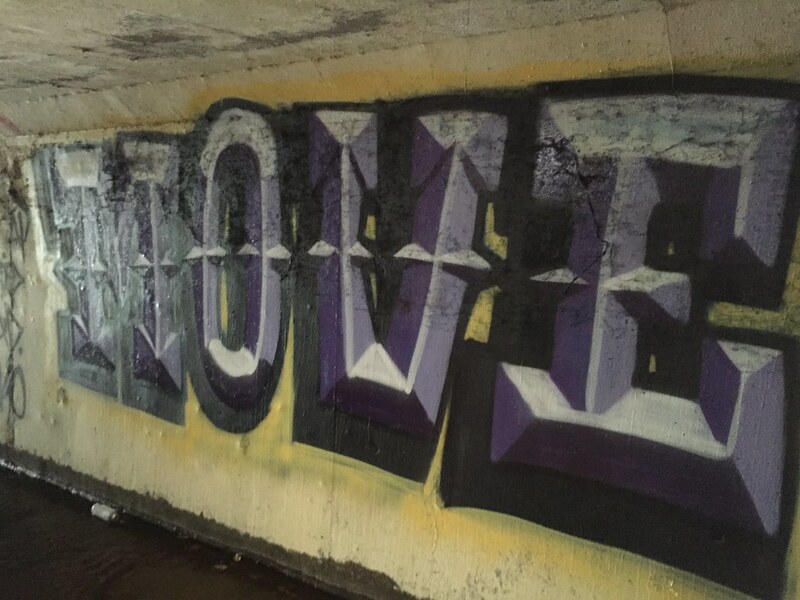 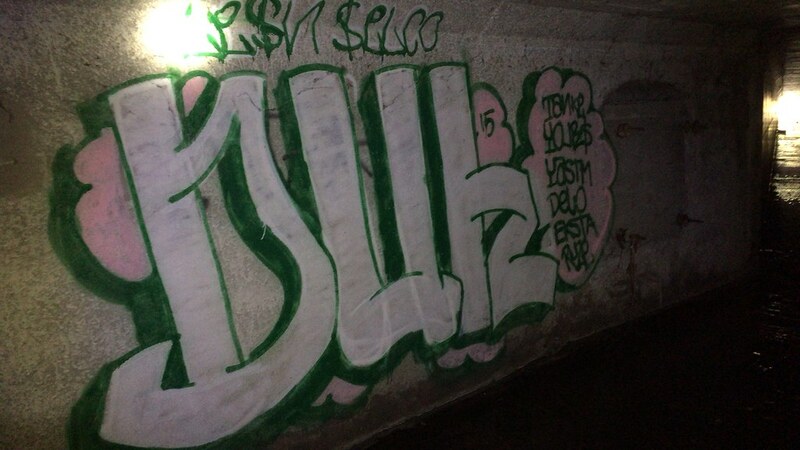 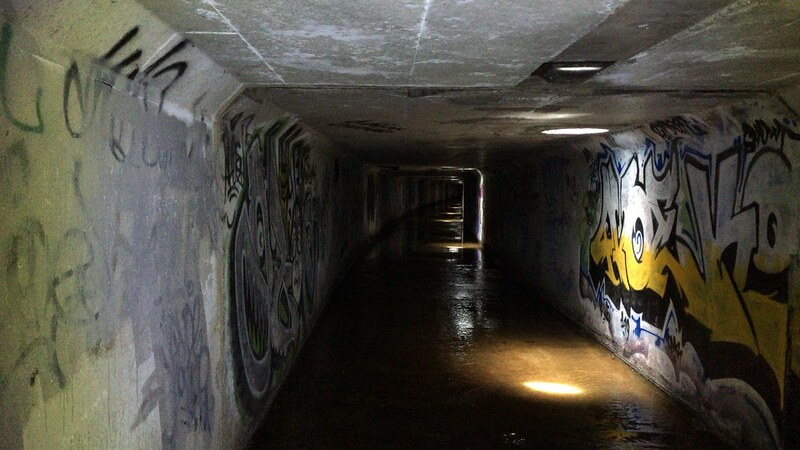 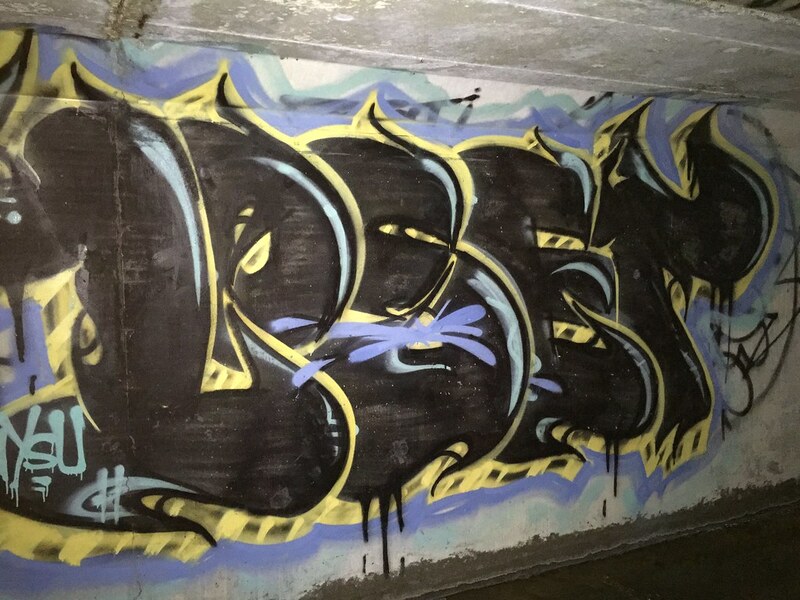 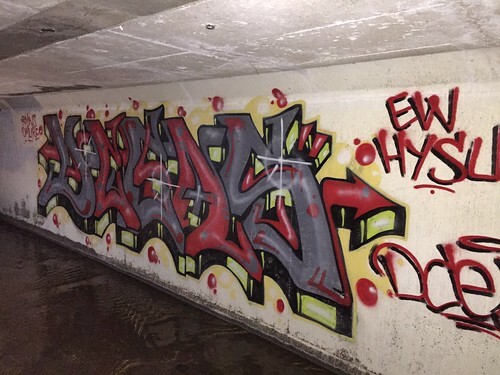 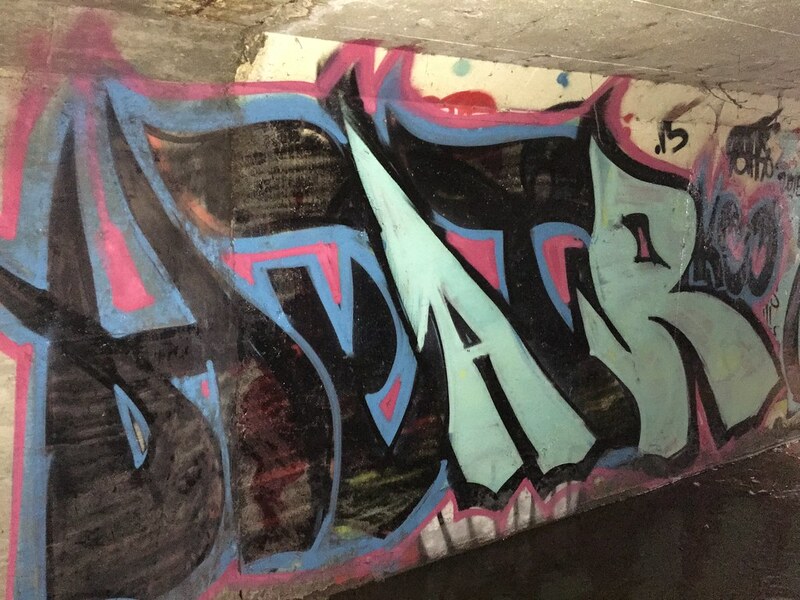 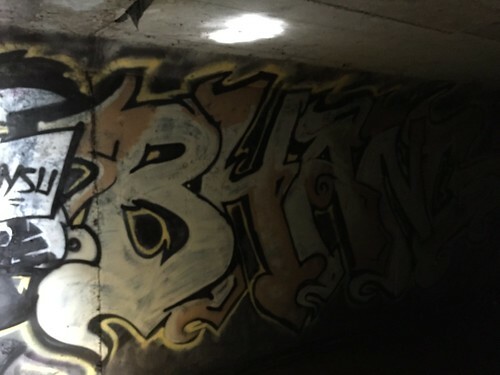 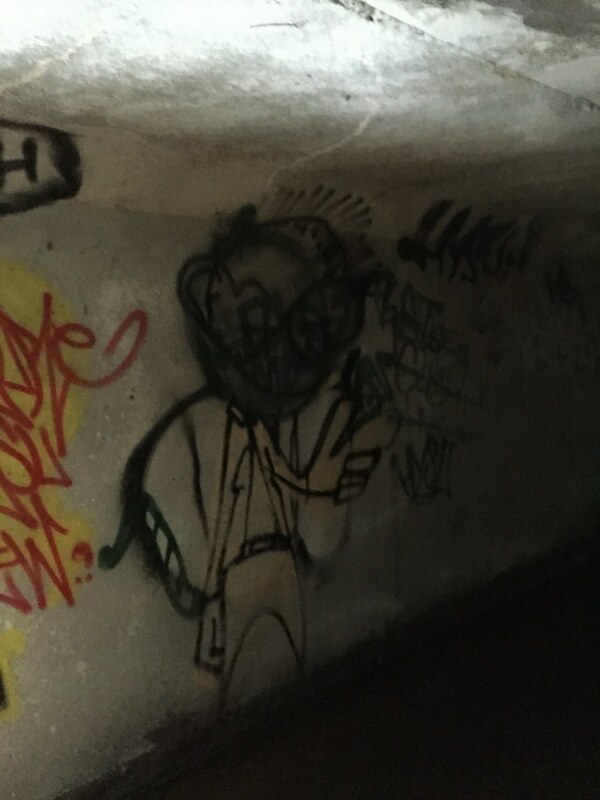 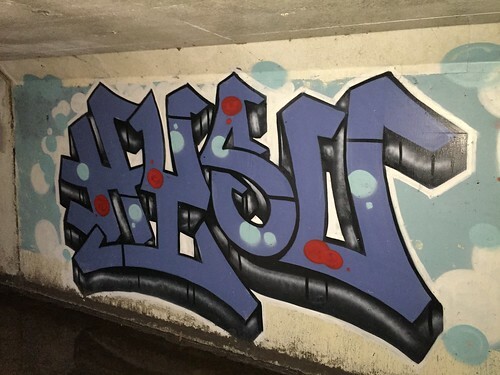 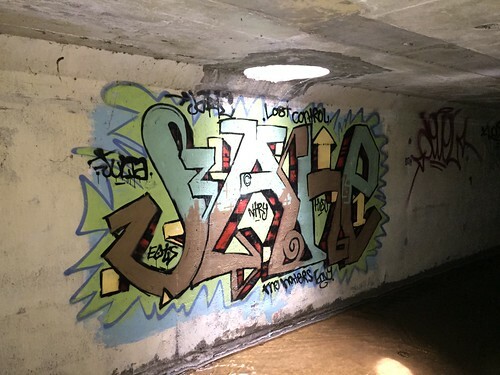 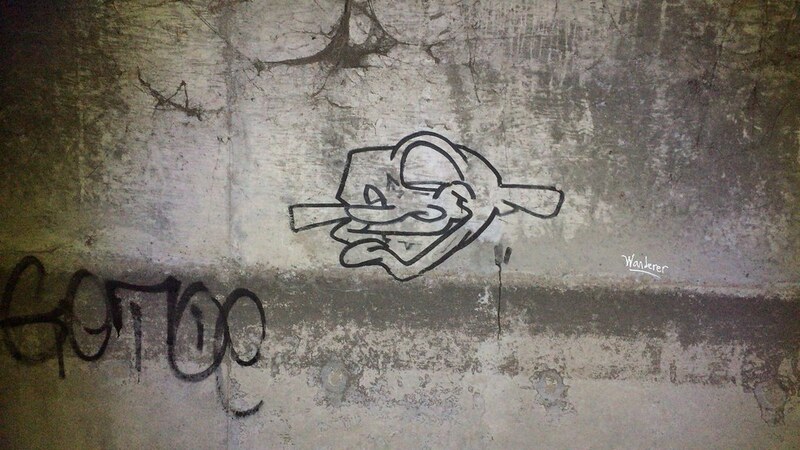 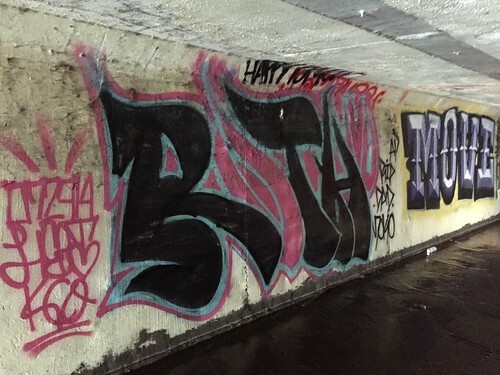 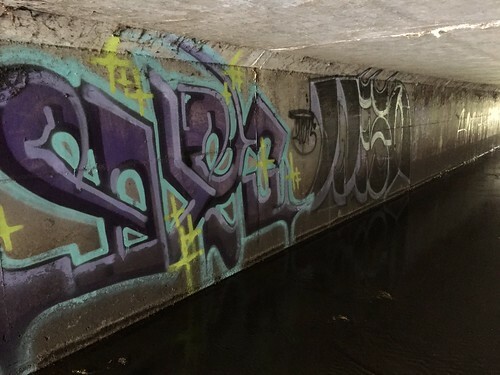 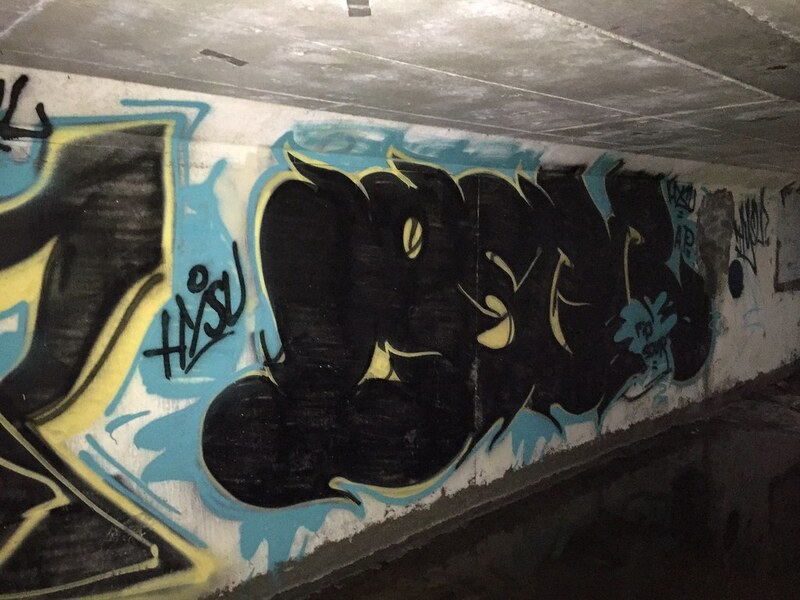 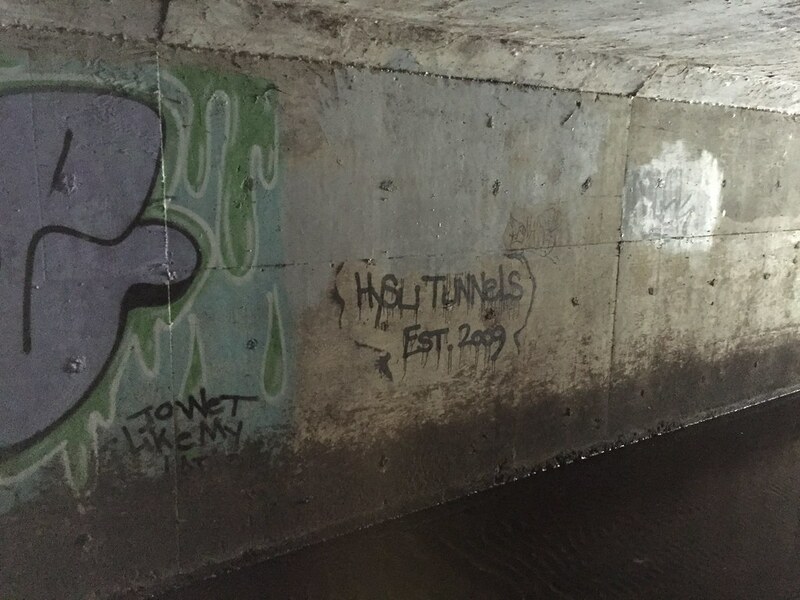 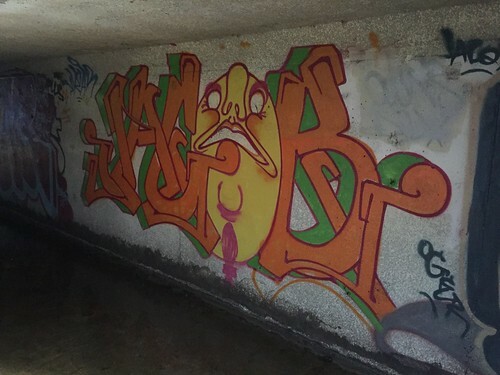 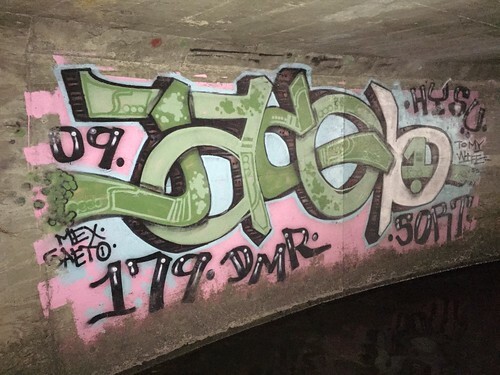 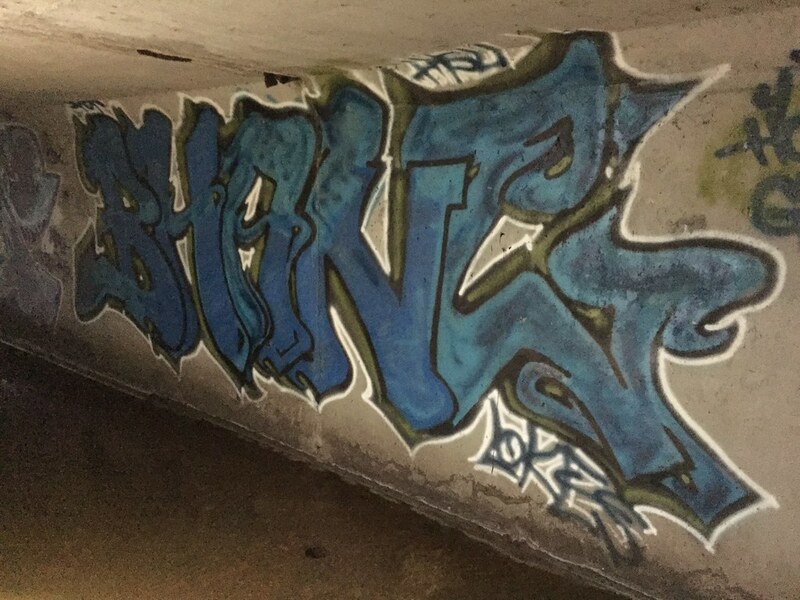 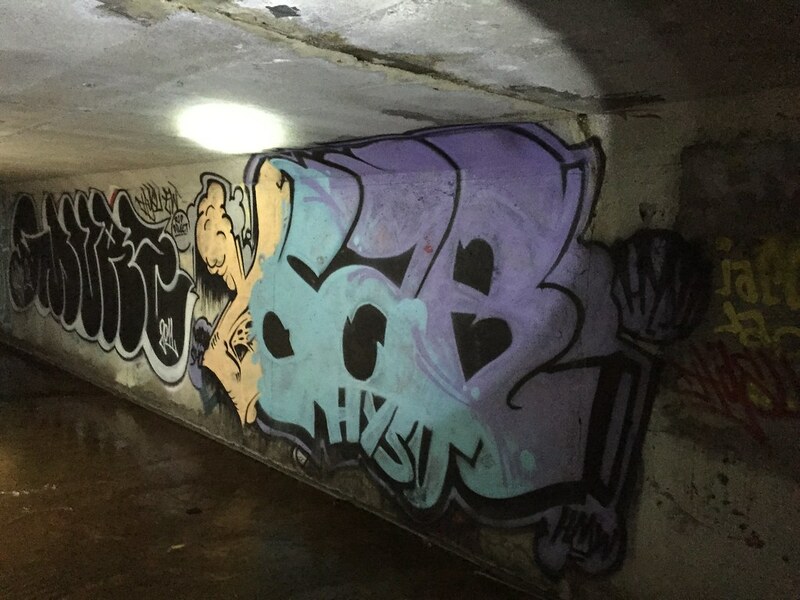 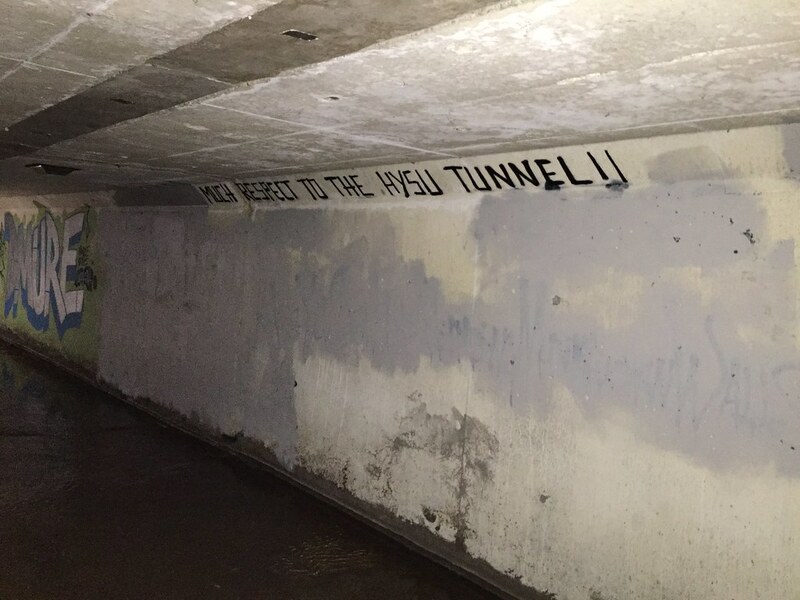 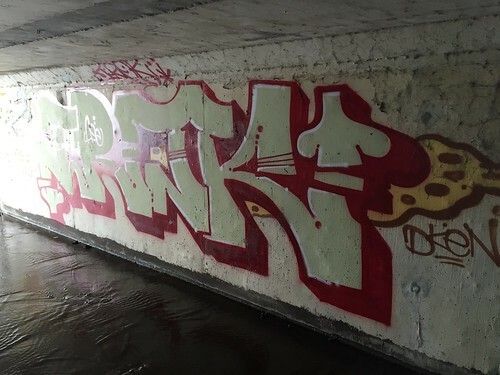 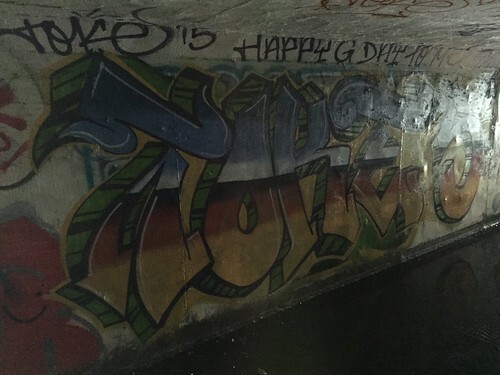 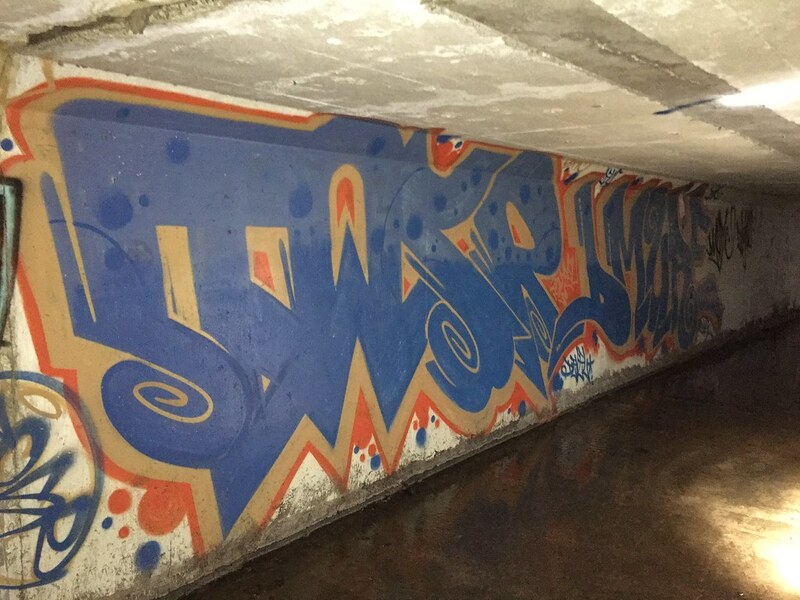 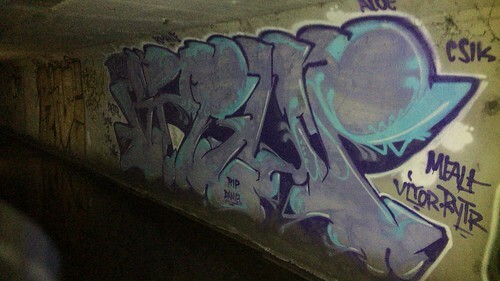 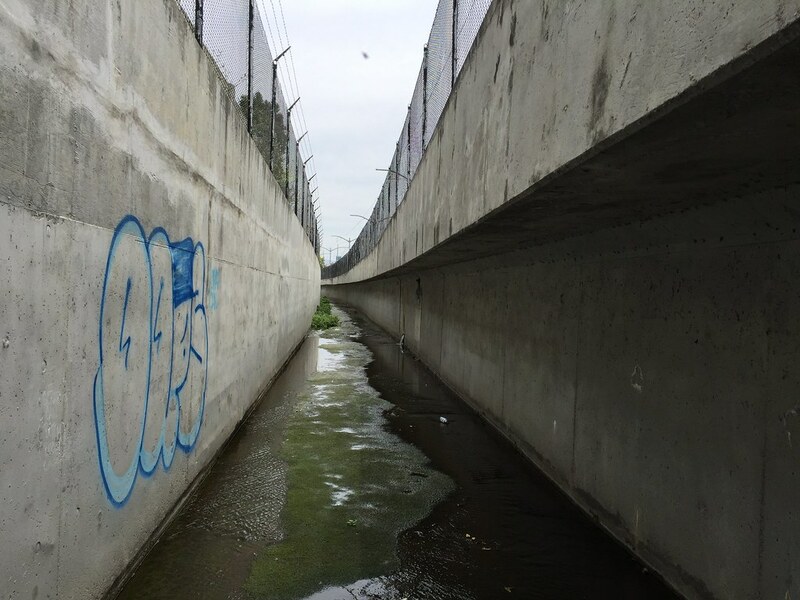 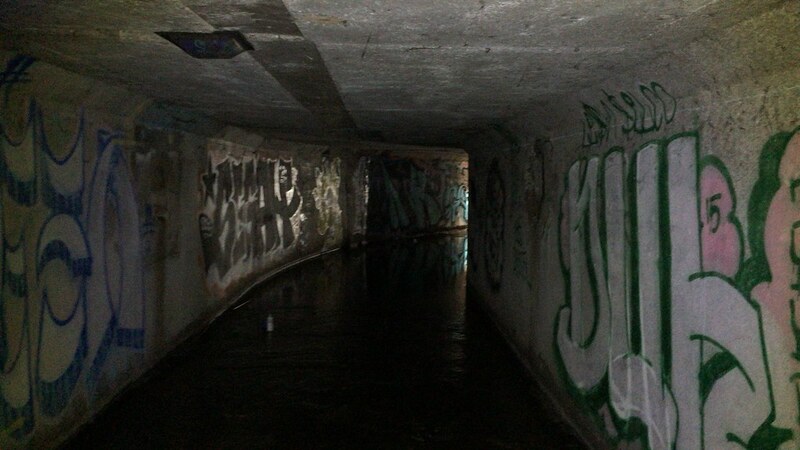 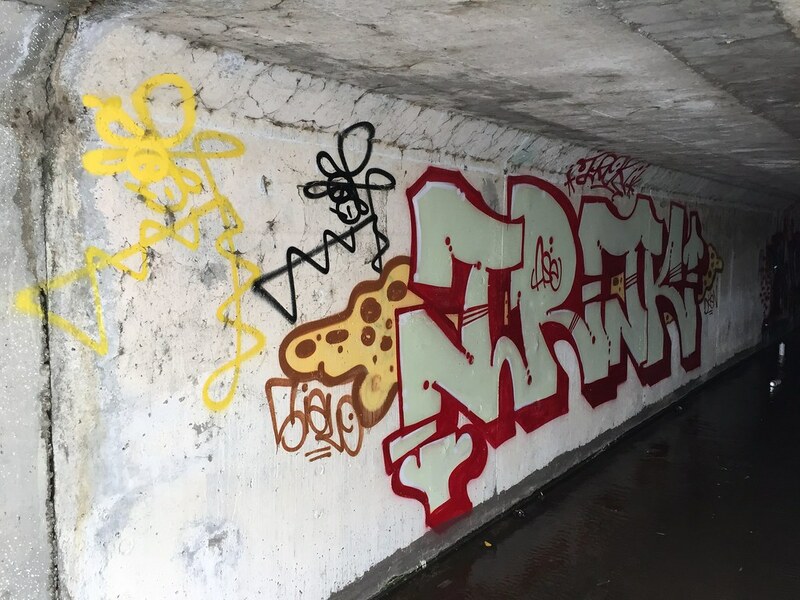 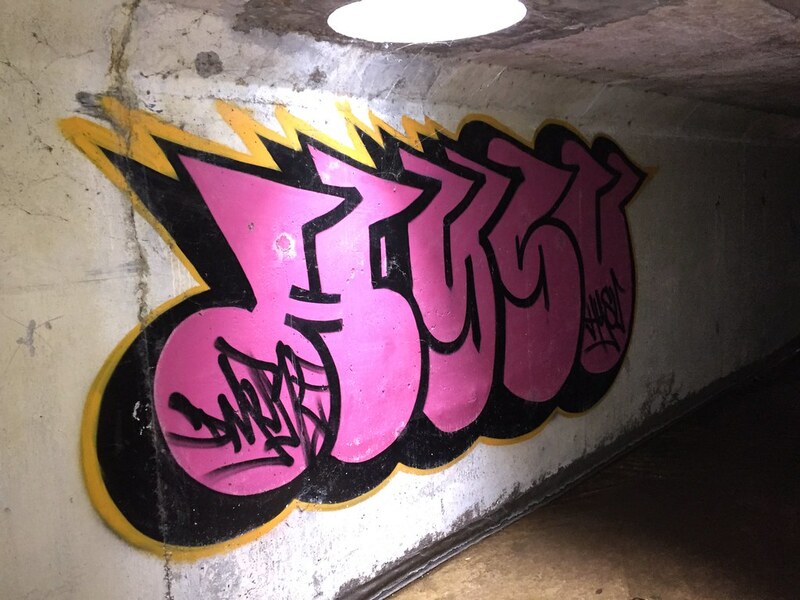 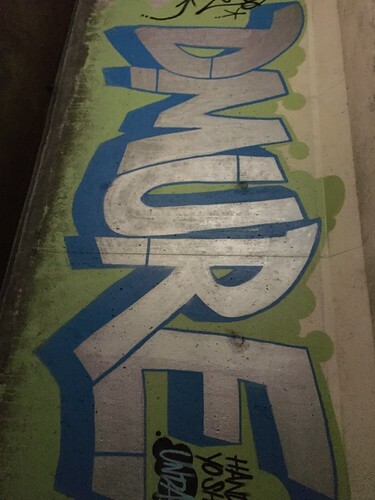 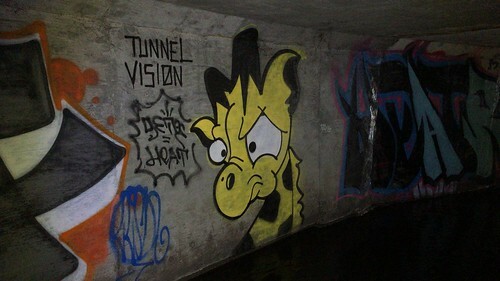 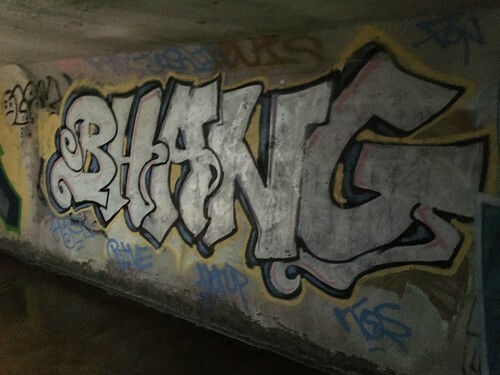 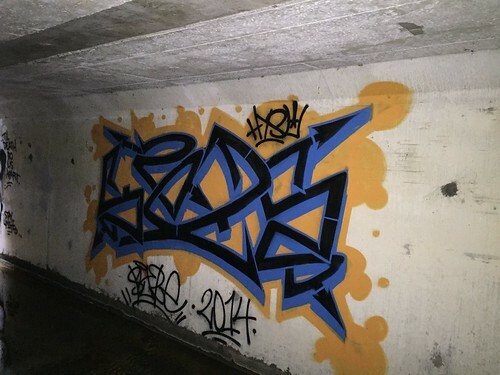 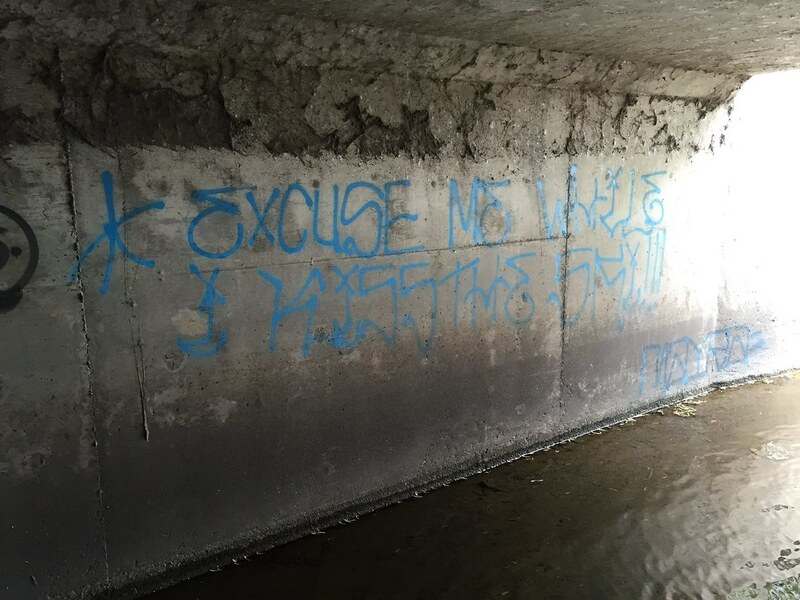 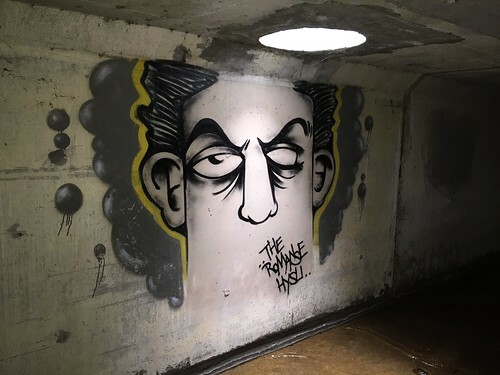 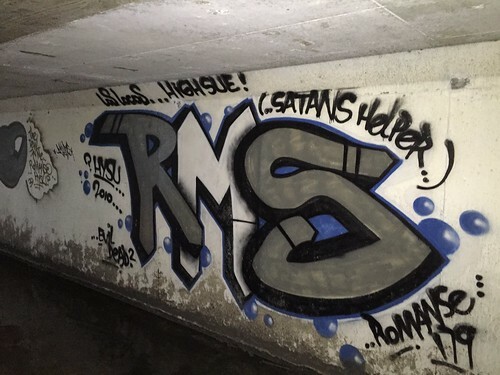 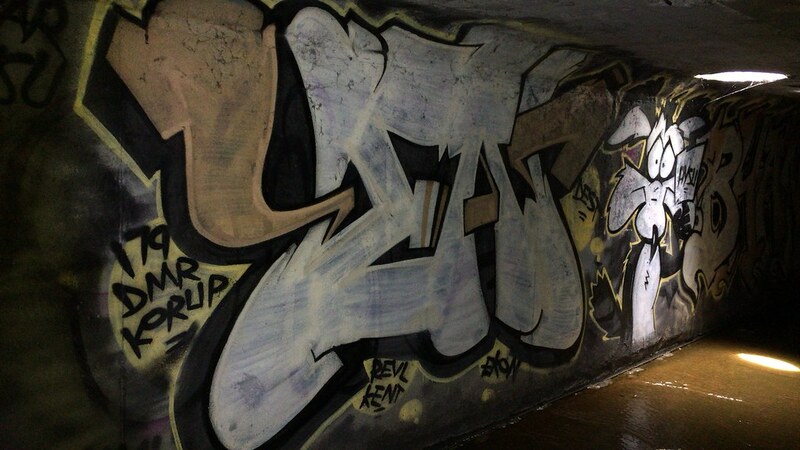 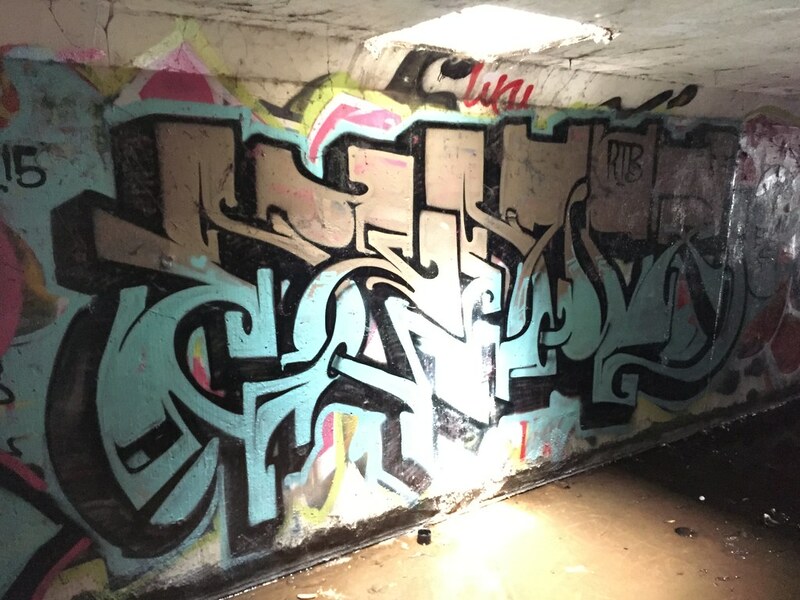 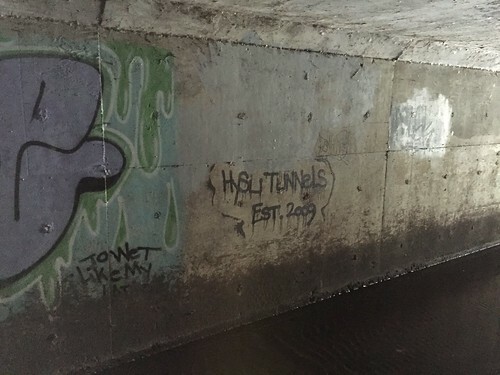 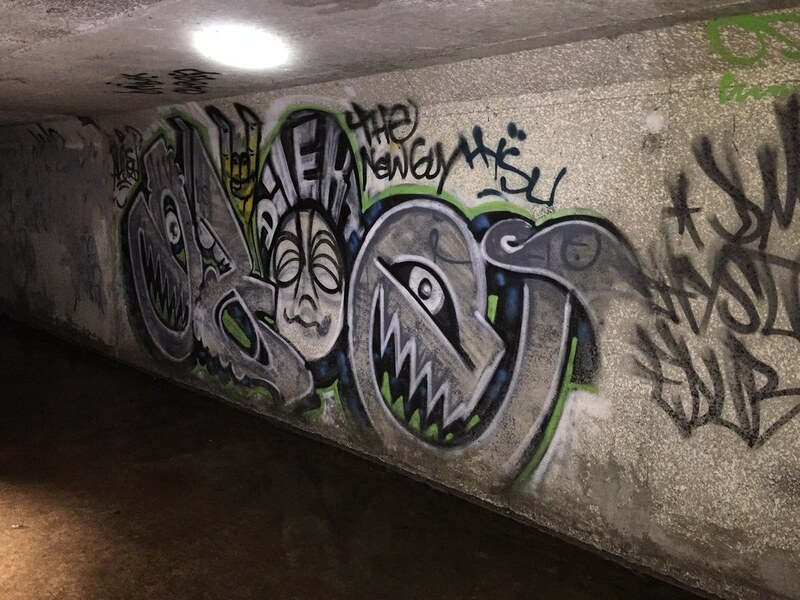 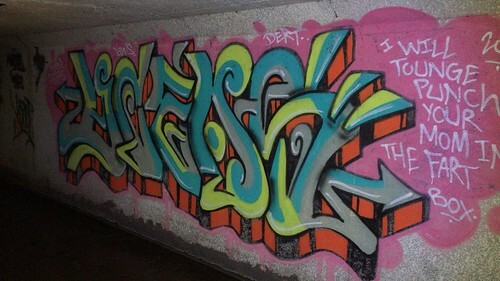 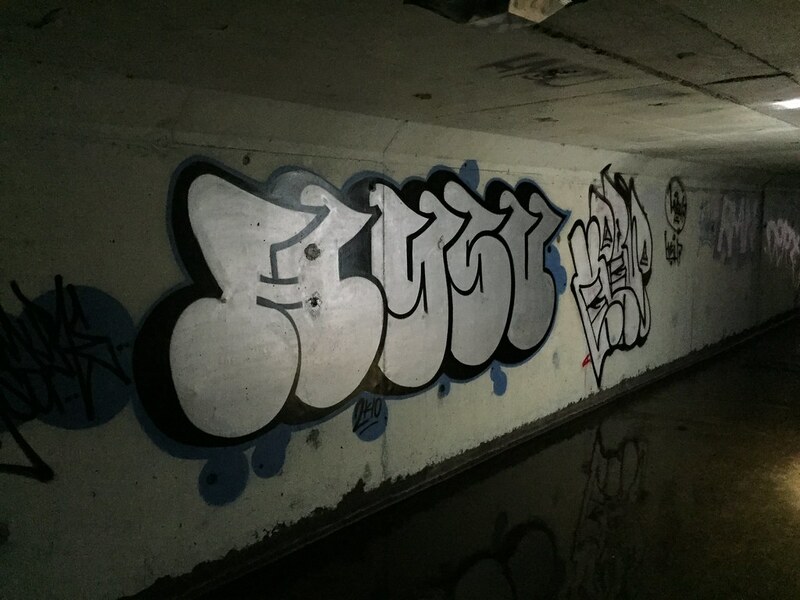 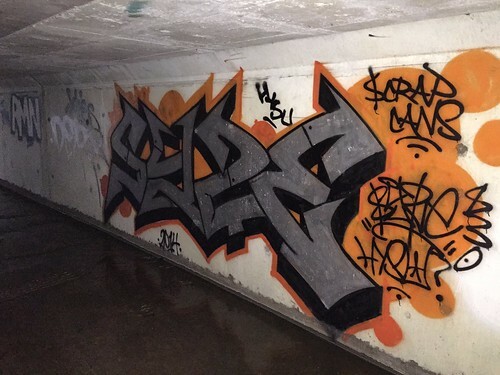 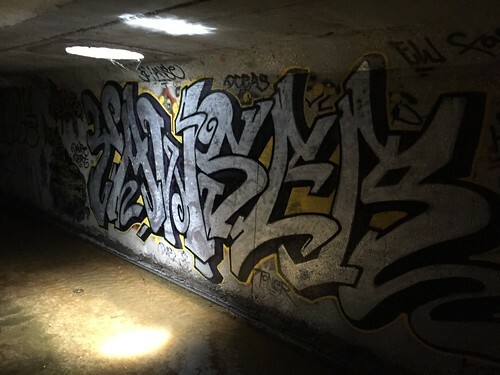 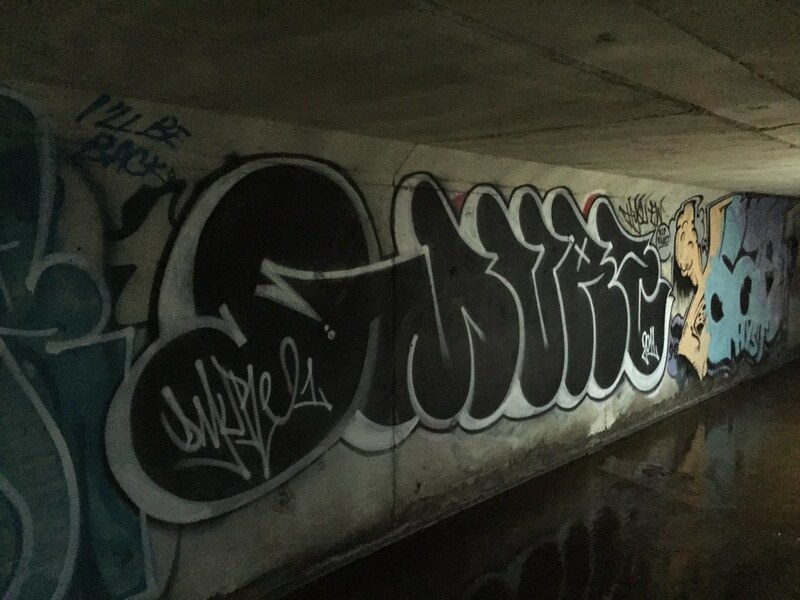 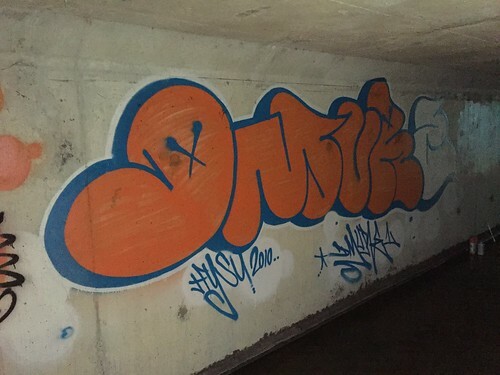 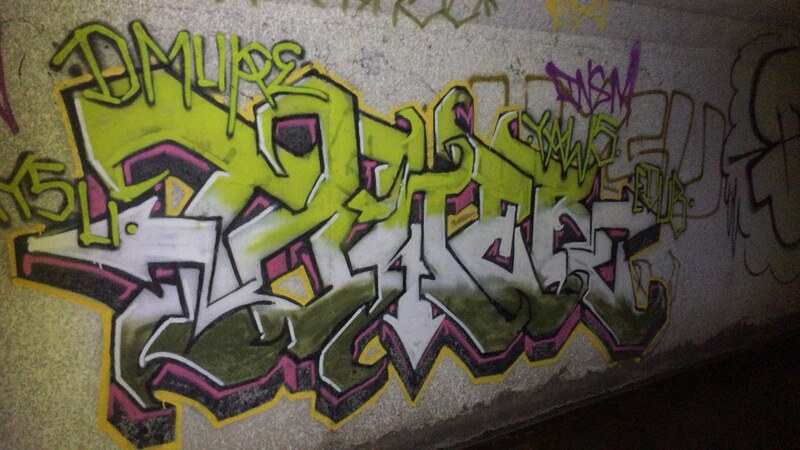 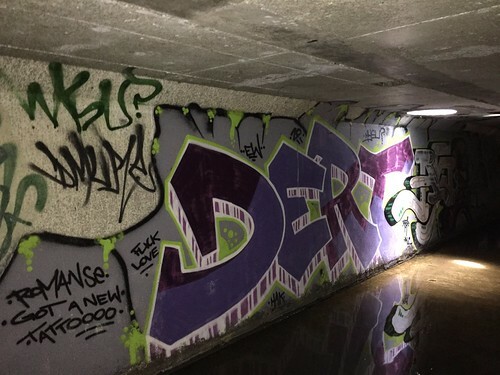 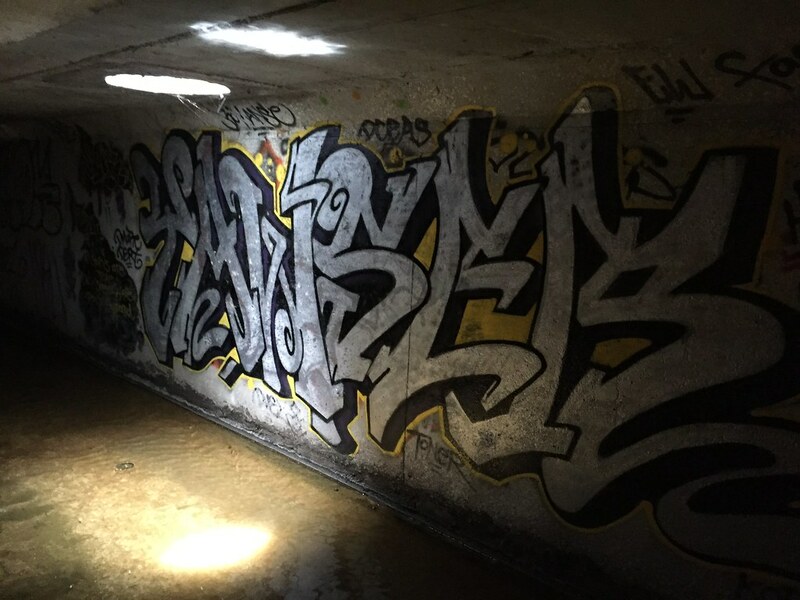 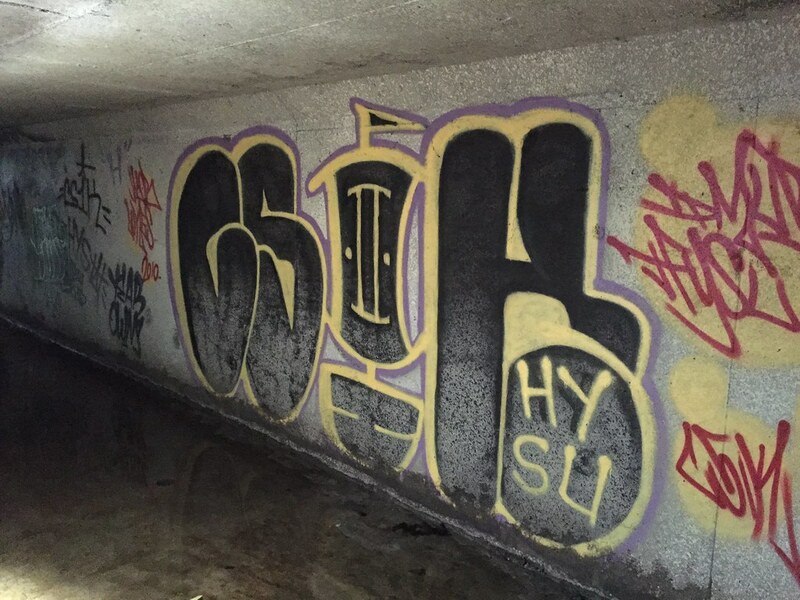 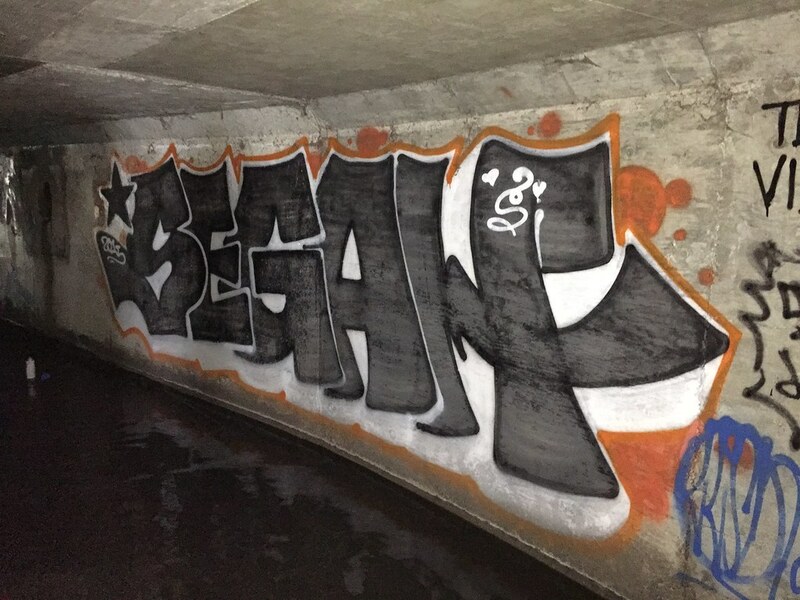 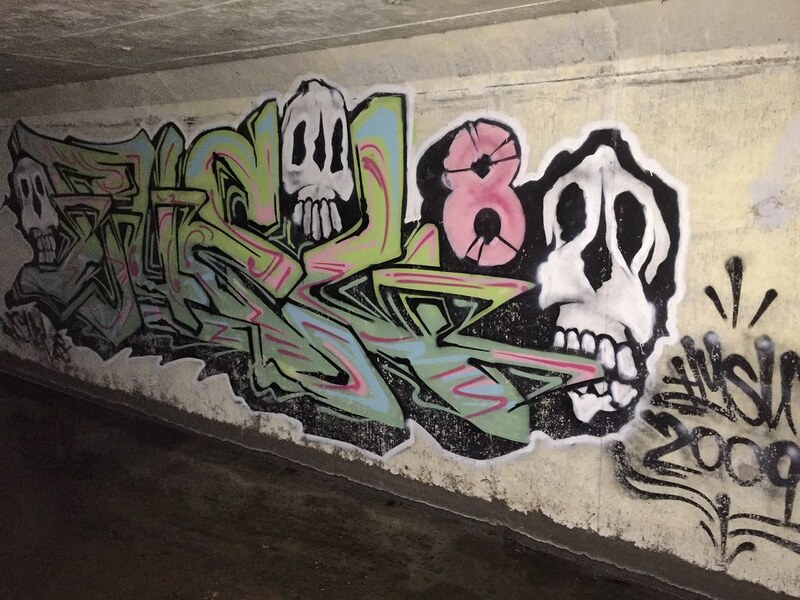 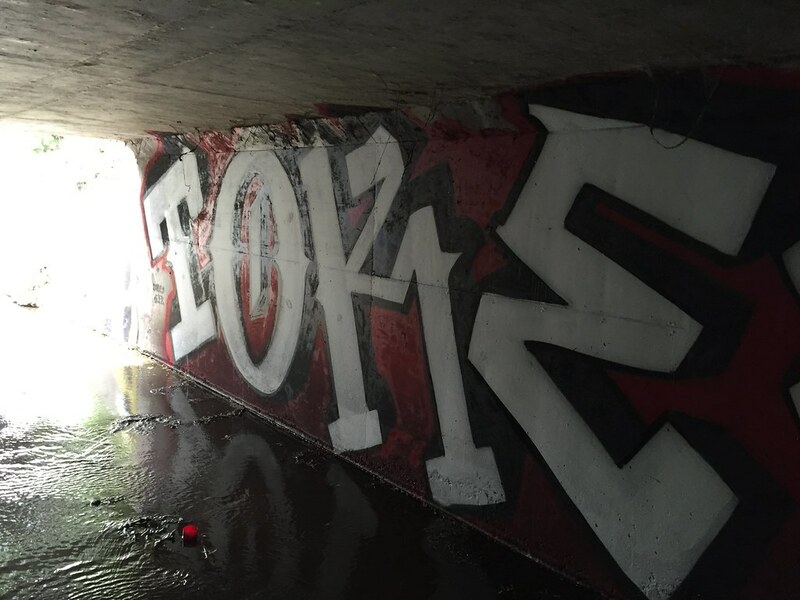 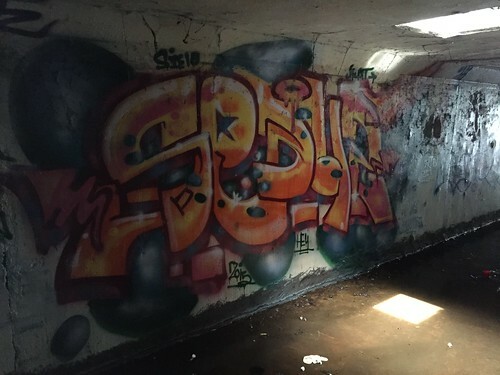 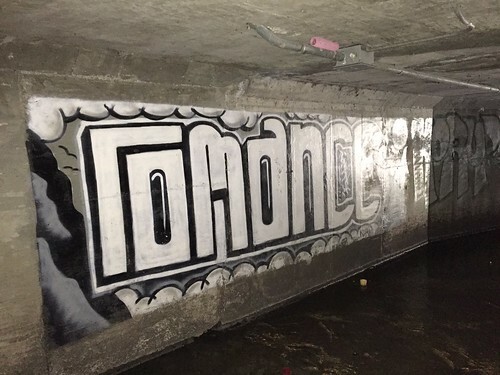 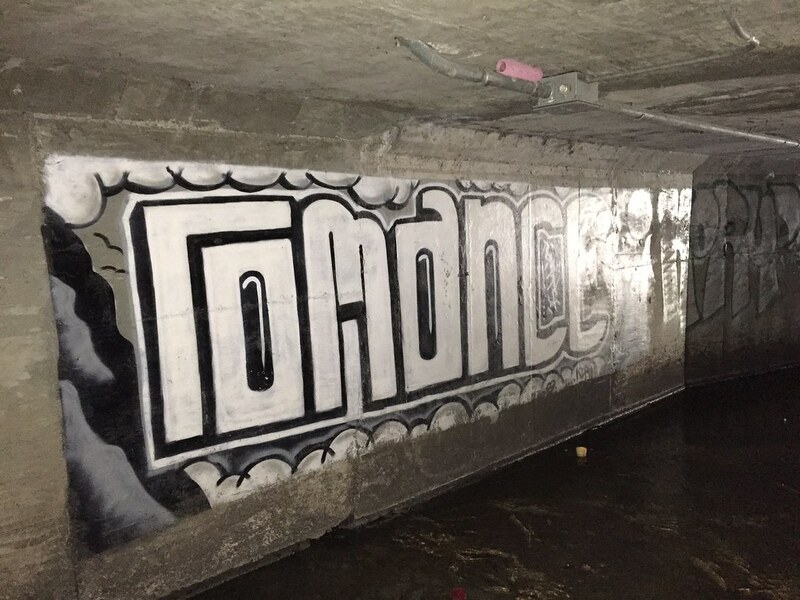 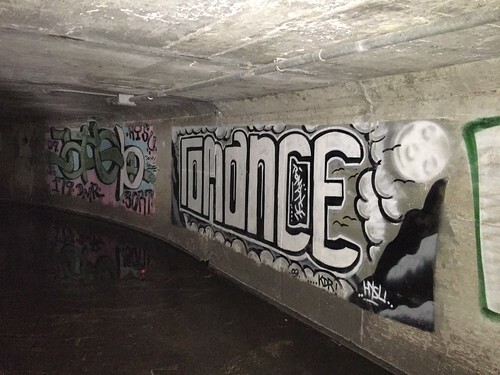 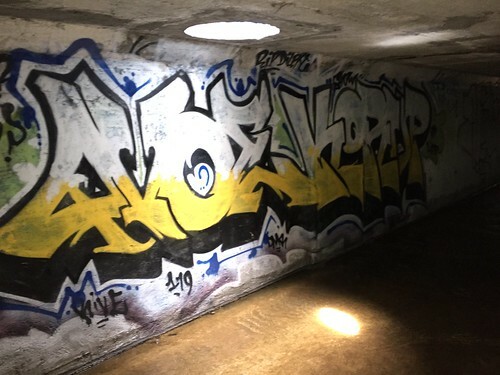 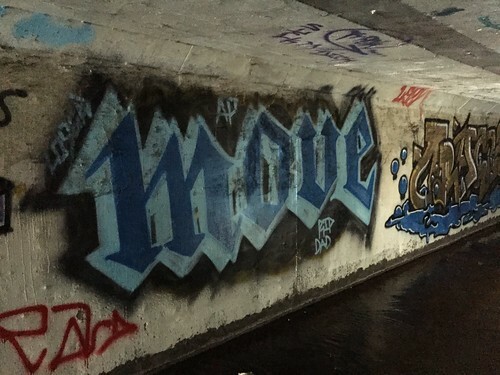 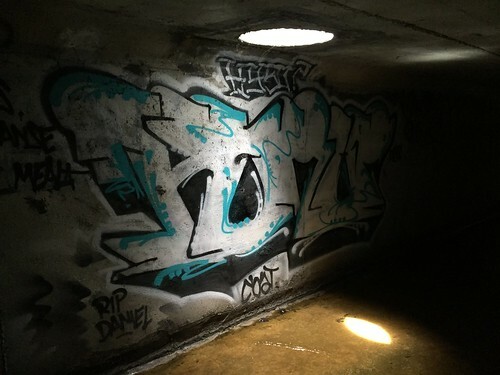 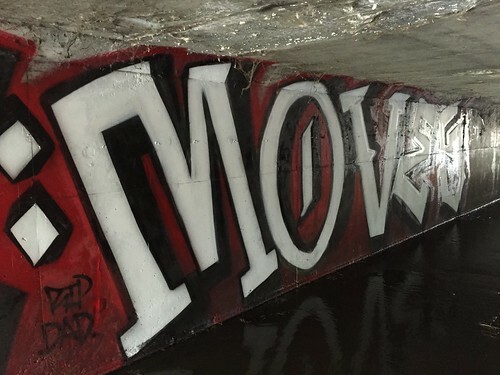 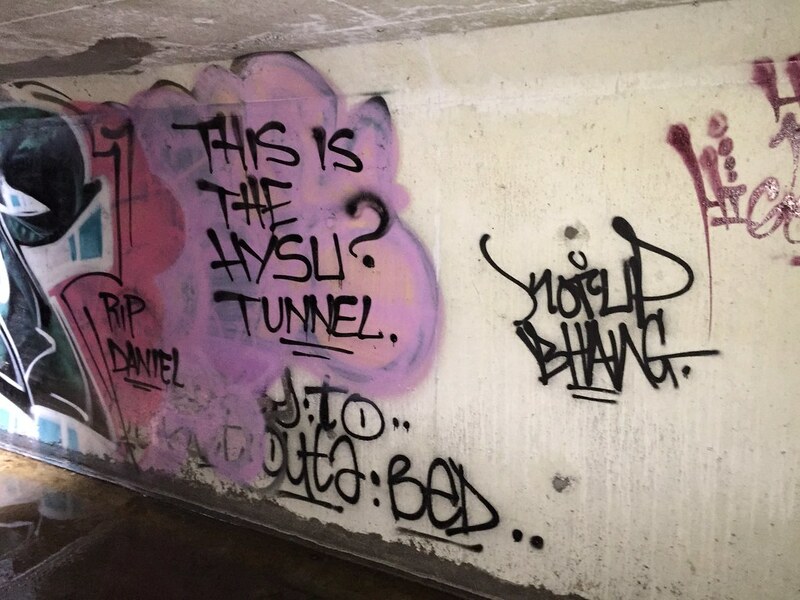 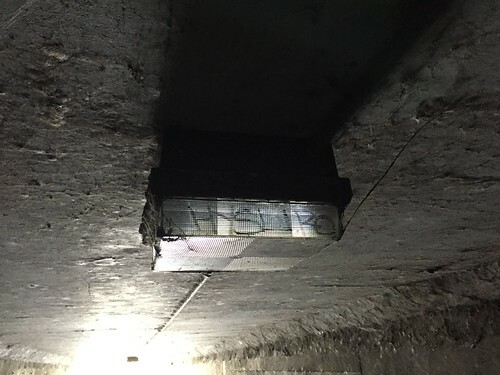 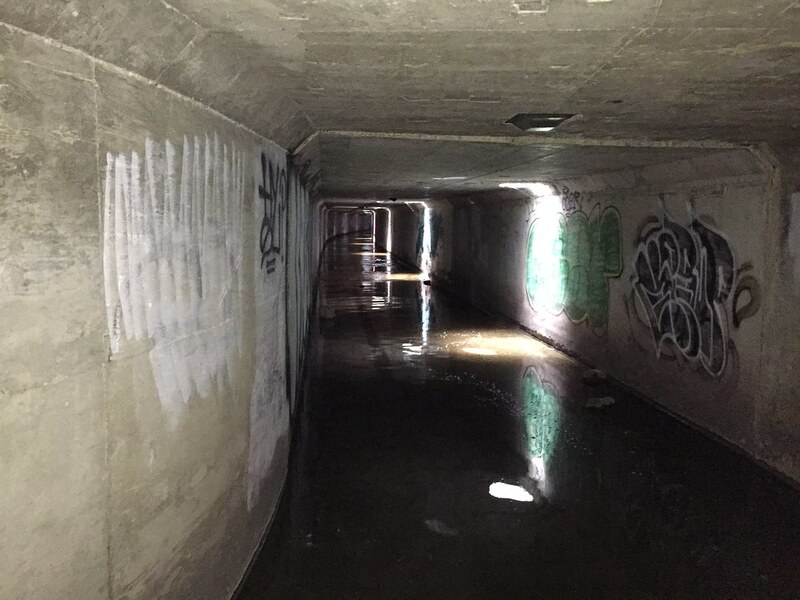 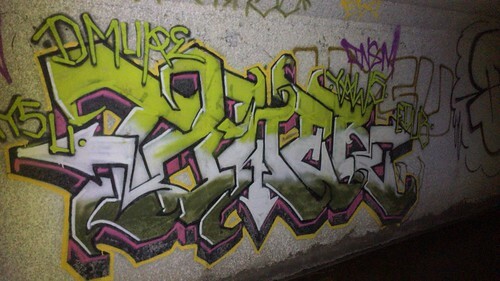 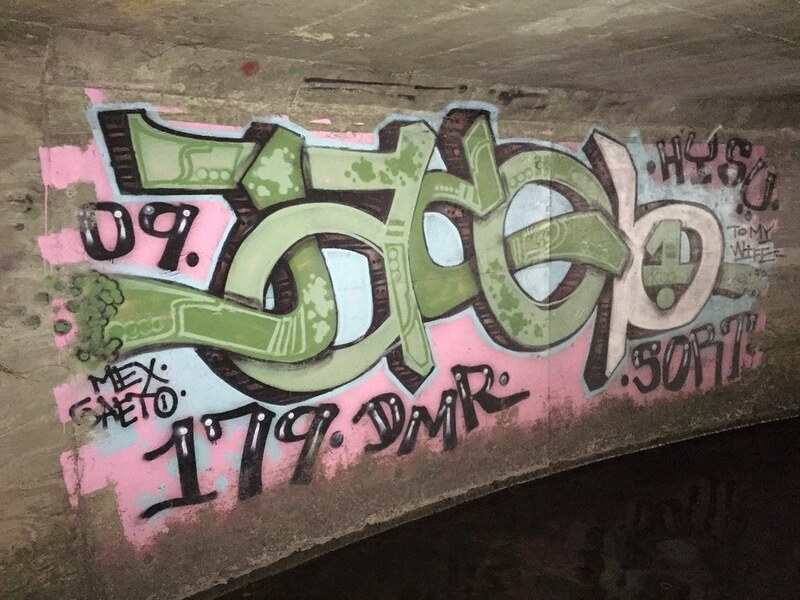 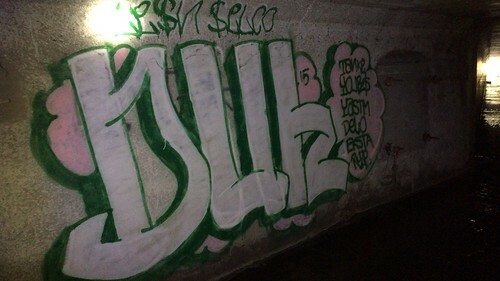 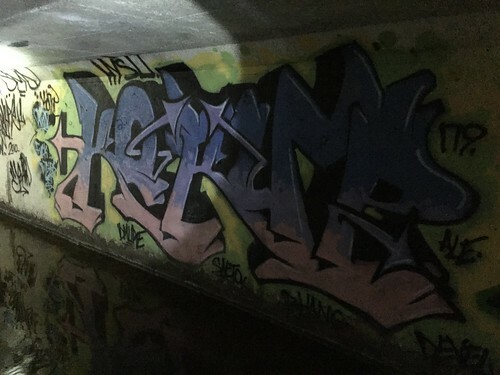 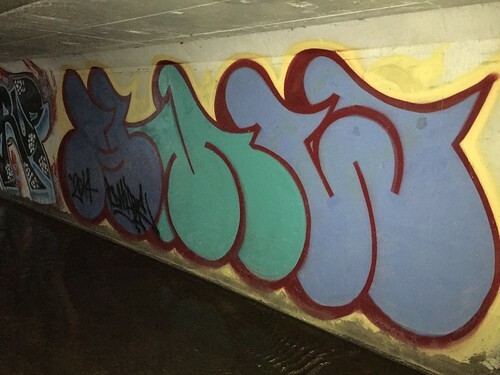 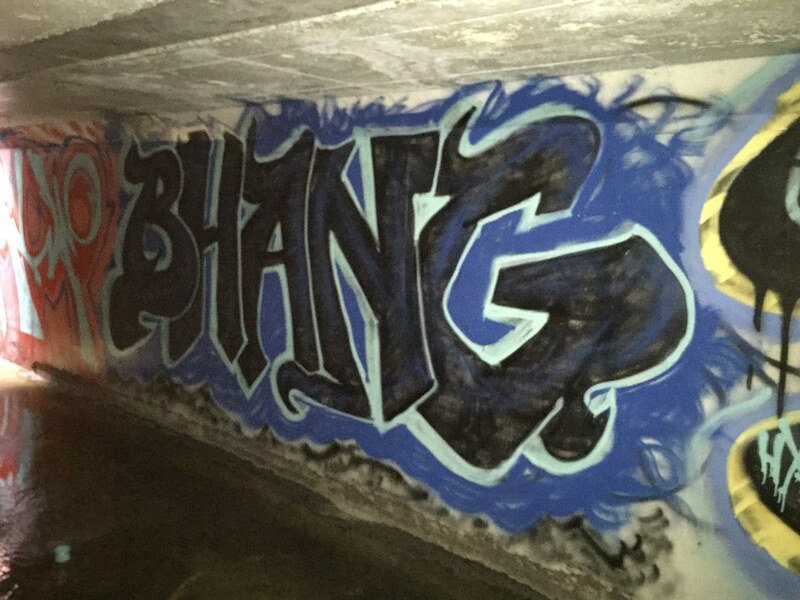 claimed a creek tunnel to themselves as their personal showcase for HYSU graff. 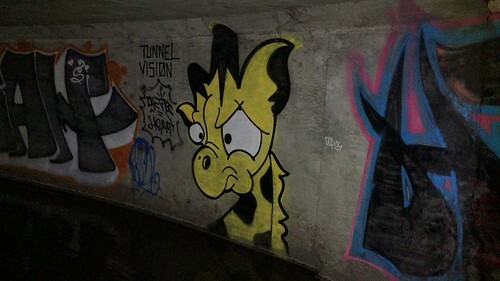 They’ll even paint over anyone else who dares bomb the tunnel – Girafa learned this lesson the hard way, one of his more recent pieces was buffed by HYSU. 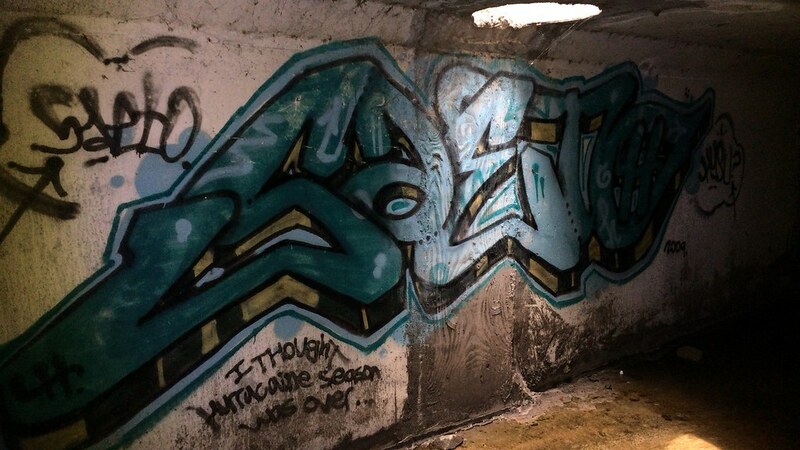 It is what it is though. This photoset includes two tunnels, first a tunnel that neighbors the HYSU tunnel, and the HYSU tunnel itself. 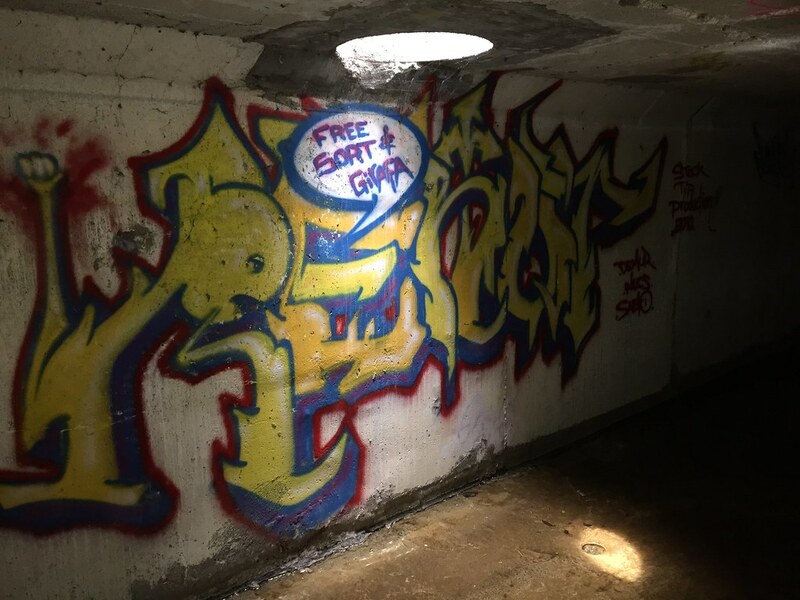 Both are legit.